The dog days of summer are upon us, and we’re going to need all the shade we can get. 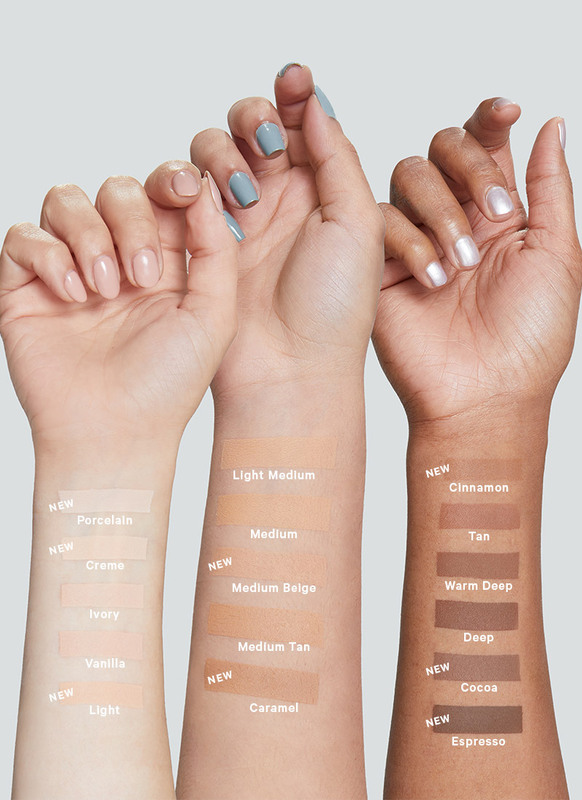 And while we’re busy searching for covered patios, tree-lined parks, and billowing beach hats, we’re excited to share that we’re introducing new Milk Makeup shades, too. 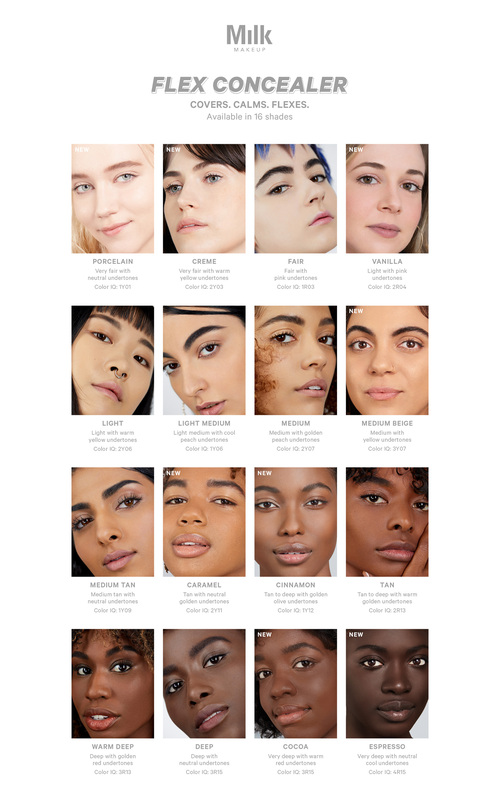 Because the Milk Makeup Fam includes everyone, meet the newest members of our coverage crew. 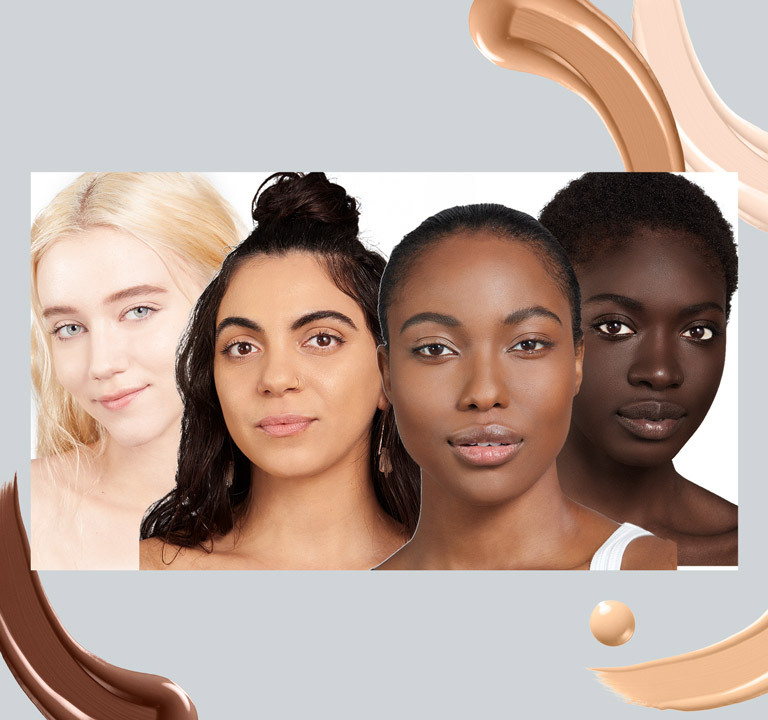 The Blur Liquid Matte Foundation and Flex Concealer families are growing this season with 16 new shades, broadening and balancing our complexion ranges across the light, medium, and deep ends of the spectrum with varying neutral, cool, and warm undertones. 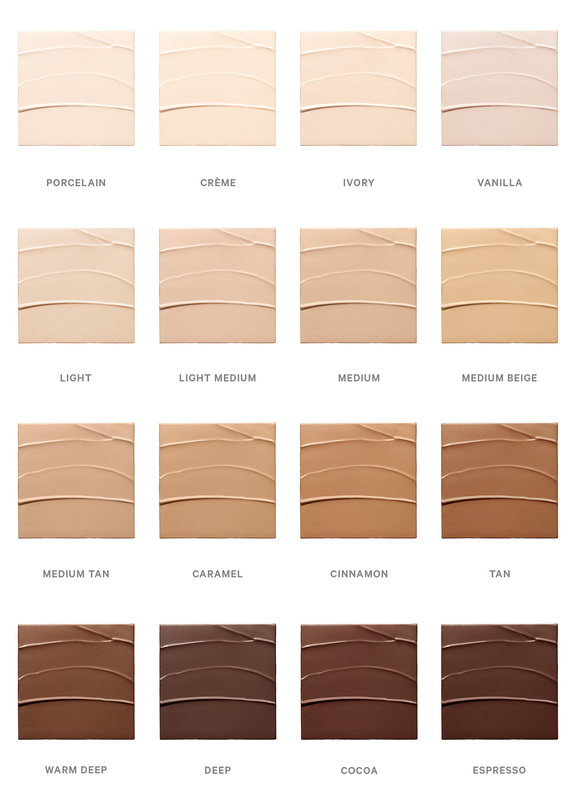 For Blur Liquid Matte Foundation, the range now includes 24 shades in total of the same silicone-free, pore-blurring, lightweight formula. 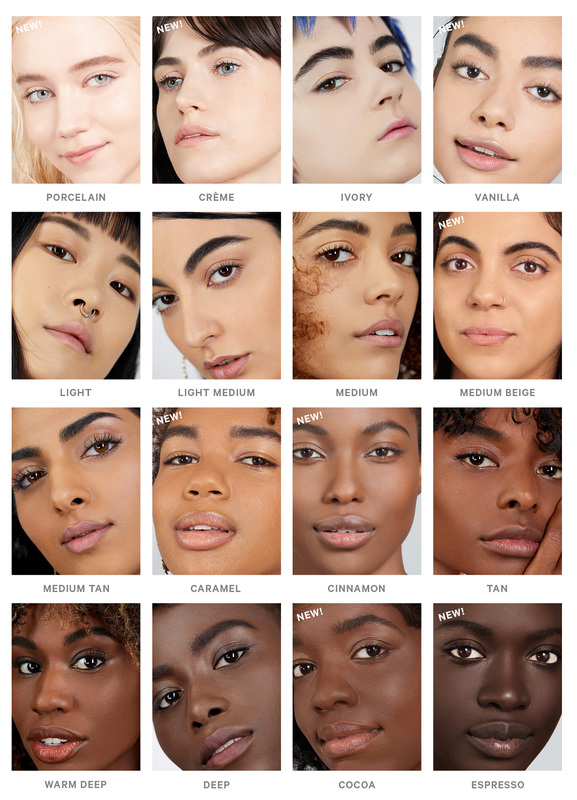 Porcelain, crème, golden honey, bisque, cinnamon, mocha, and cocoa now round out the collection, offering a variety of undertones to match a wide range of skin tones. As with the originals, these new shades offer full coverage with a serum-like feel. Blurring microspheres — tiny powder-filled spheres — blur pores, imperfections, blemishes, and fine lines, leaving skin with a soft-focus effect. To apply, vigorously shake to activate the blurring microspheres, apply 1-2 peppercorn-sized drops to the back of your hand, and, using your tool of choice, blend from the center of your face outward. The result? Airbrushed-looking skin with a modern-matte finish, on even the stickiest, most humid of days. The frosted tube also has a UV-protective coating, so you don’t have to worry about the formula oxidizing or changing color while you’re basking in the sun. And the mess-free packaging means summer vacation carry-on spills are a thing of the past. BLMF comes with an airless tip to minimize air exposure and eliminate dripping, allowing the foundation to stay fresh, the color to stay true, and all of it to stay inside the package. For Flex Concealer, the range now includes 16 shades in total of the same medium-to-full coverage, flexible, calming formula. 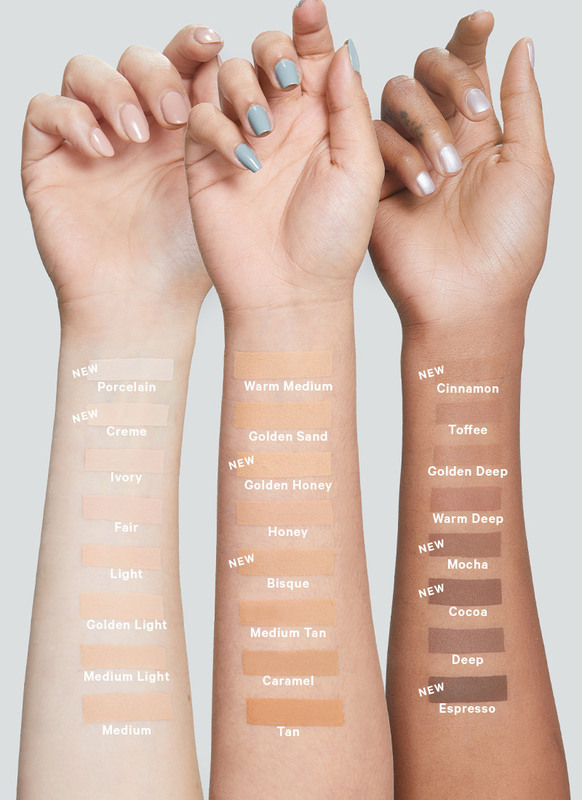 Porcelain, crème, vanilla, medium beige, caramel, cinnamon, cocoa, and espresso now round out the fam, offering a variety of undertones to match a wide range of skin tones. As with the originals, these new shades will take on anything you’ve got, from under eyes to over blemishes. Flex seamlessly becomes one with your skin, without creasing or caking, thanks to a combo of tiny bendable spheres and elastic marshmallow root powder (the ingredient that gives the candy its squishy abilities). It’s also infused with blue lotus to moisturize and chamomile to calm redness and soothe skin, so you can simultaneously hydrate and cover even the most sensitive, acneic skin. To use as a concealer, dot the doe foot applicator where desired and blend into skin using your tool of choice. To add brightness, select a shade lighter than your go-to concealer shade, dot an upside-down triangle beneath your eyes, and blend away. Finding your foundation shade and undertone shouldn’t send you into a confusing spiral, so we hit up our Studio Artist, Sara Wren, for some pro tips to make meeting your perfect match as seamless (and blendable…heh) as possible. 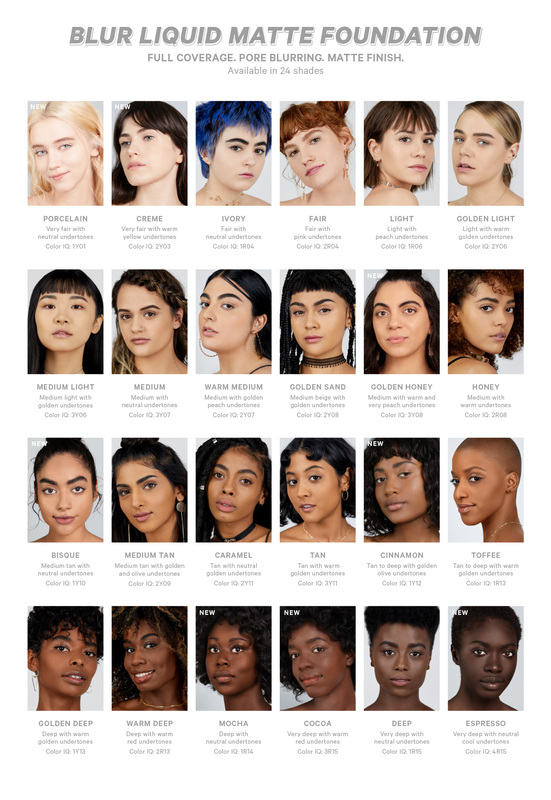 We also have some nice lil’ charts below that list the undertones and Sephora Color IQ number for all BLMF and Flex Concealer shades, because some days, online shopping is just easier than doin’ it IRL.